We specialize in a multi-disciplinary, individualized approach to treating all aspects of pain. In our practice, we have personalized treatment for cancer pain, acute and chronic neck, back and knee pain, headaches, sports injuries, osteoarthritis, compression fracture and fibromyalgia. We focus on educating our patients how to improve their mobility and prevent future injury. 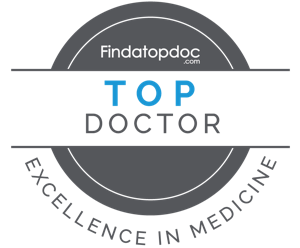 According to Cincinnati Magazine and Cincy Magazine, Dr. Akbik has been voted Top Doctor in Pain Management since 2007. The survey was asked from more than 5,000 physicians both MD. and DO., “If you, a family member, or a friend needed medical attention, who would you turn to?” The only way a physician qualifies is to receive a high enough overall score through the peer-review polling process.